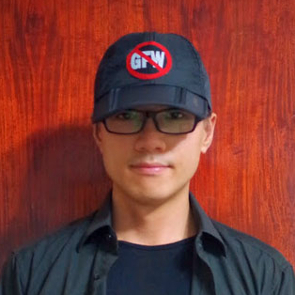 Zhen Jianghua, also known as Guests Zhen, is a human rights defender and Executive Editor of ATGFW.ORG, an online portal which educates people about Internet censorship in China and how to gain access to censored websites by breaking through the Great Firewall of China. He is also a technical consultant with Human Rights Campaign in China, an advising expert with Chinese Wikipedia, and a project officer of a HIV/AIDS prevention education project in Zhuhai, run by the Hong Kong AIDS Foundation. Human rights defenders in China work in an extremely hostile environment and under President Xi Jinping they have seen the space in which to operate further restricted. Chinese HRDs are active in many spheres, and they include lawyers, journalists, academics, transparency campaigners, housing and land rights activists, bloggers, writers, HIV/AIDS activists and those promoting the rights of ethnic minorities. Regardless of the issues they work on, HRDs who highlight abuses, challenge the authorities or network to support detained colleagues all face reprisals from the government. These range from almost daily harassment and intimidation of family members to detentions, disappearances, torture and imprisonment.